or if cancellation is received by April 28, 2016). A letter, resume and deposit must be received in the ASO office by April 20, 2016. 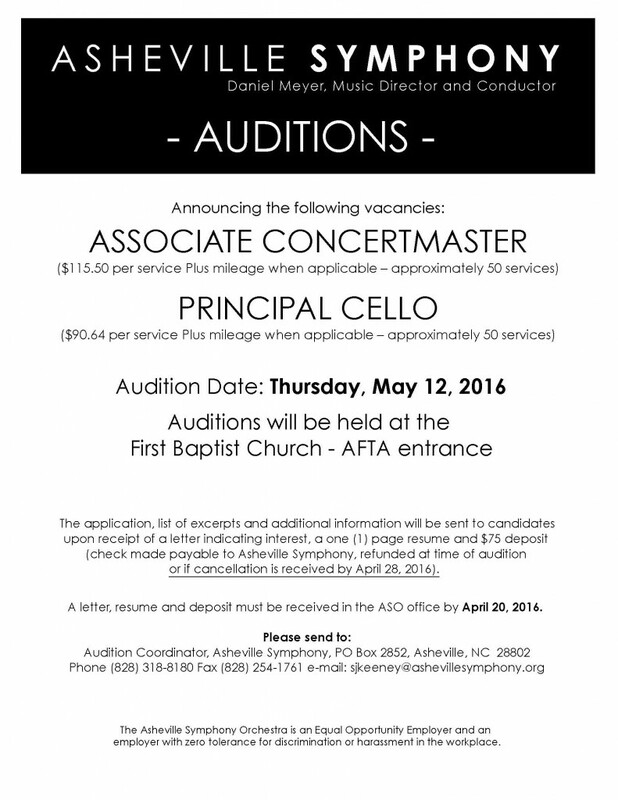 Click to download audition announcement. employer with zero tolerance for discrimination or harassment in the workplace.